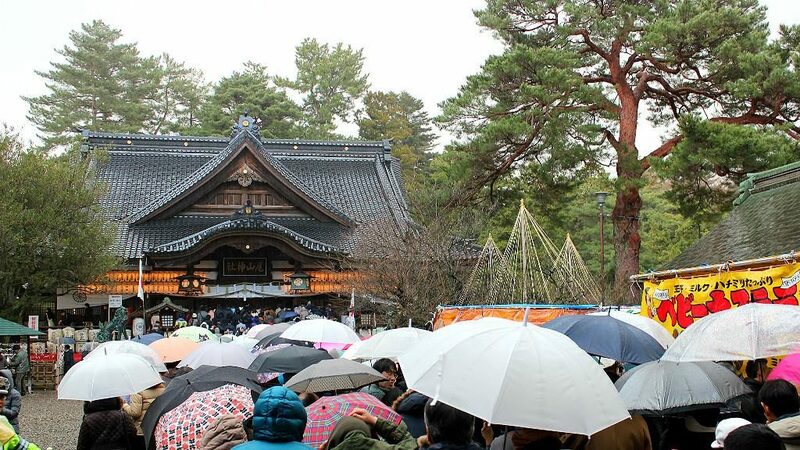 Oyama Shrine is one of Kanazawa’s two busiest shrines during the New Year holidays. 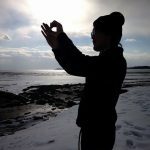 Everyone who comes to Kanazawa visits Oyama, one of Kanazawa’s must-see spots. 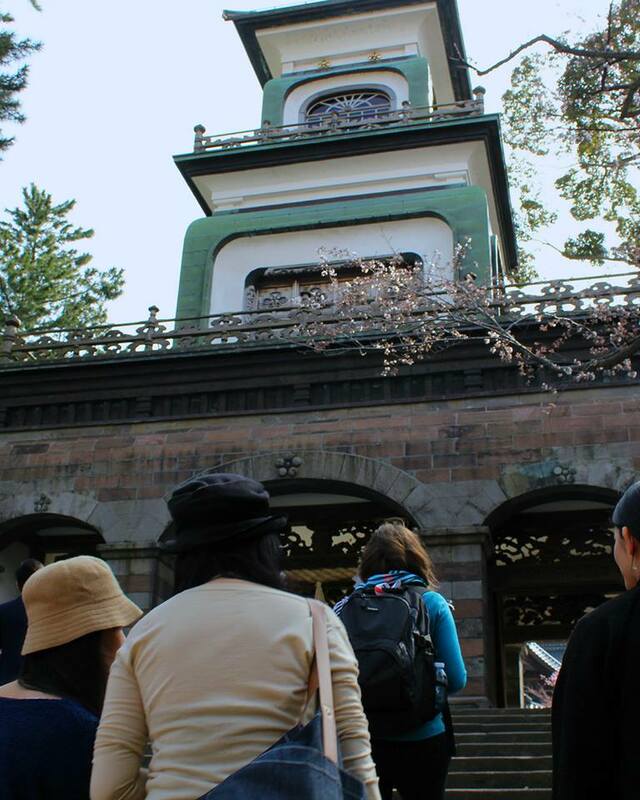 And passing through the shrine may be enough to make a visitor remark on its beauty. But Oyama Shrine is a microcosm of Kanazawa’s endless transitions of old and new, steadfast and evolving, traditional and novel. And there’s extensive history found if you know where to look. 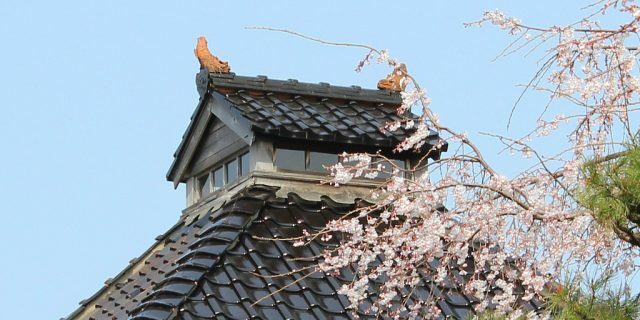 The exceptionally tall catfish-tail helmet that marked Toshiie’s status and lineage is now a recognizable icon in Kanazawa. Hang around Kanazawa long enough, and you will know the name Toshiie Maeda. 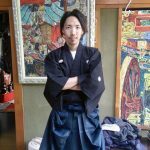 He was the first of Kanazawa’s feudal lords to enter Kanazawa Castle—famously re-enacted during the annual Hyakumangoku Festival—and his descendants were all daimyo of the same clan name. Toshiie’s presence is felt and honored most strongly at Oyama Shrine. 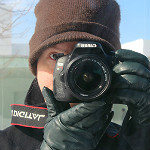 In Shinto belief, anything and anyone has the potential to become a kami, a kind of god. Only faith is required for Shinto’s form of animism. As a well-established Warring States general, relatively long-lived, and garnering wealth for his new domain, Toshiie was quickly recognized and enshrined as kami. 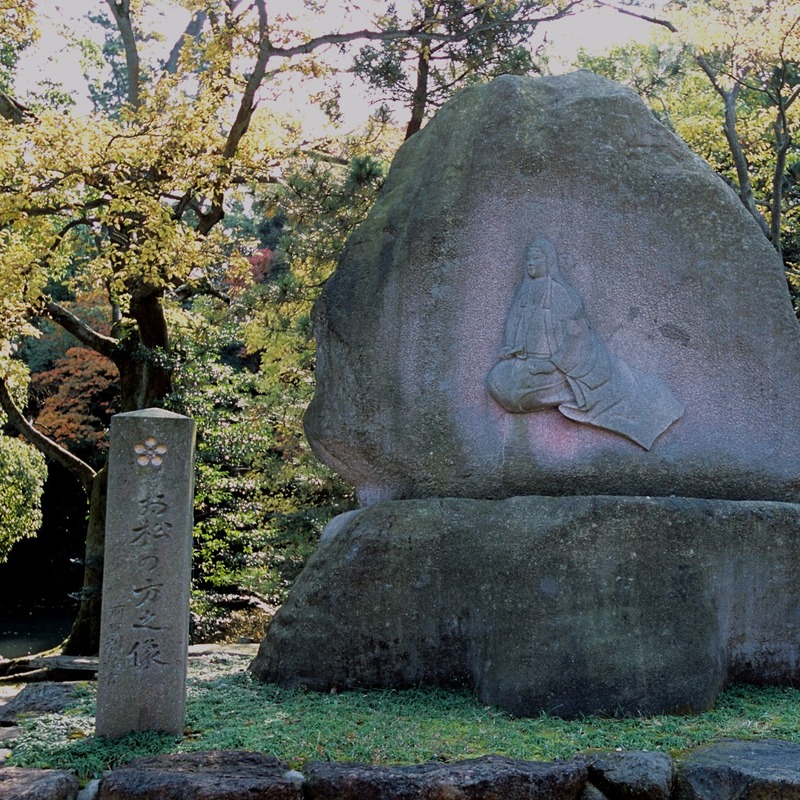 The patriarchal founder of Edo-era Kanazawa was first immortalized after his death four centuries ago in the Utasu Hachiman Shrine along the Utatsu mountainside above the Higashi Chaya geisha district. As the Utasu Hachiman Shrine was then falling into disrepair, the enshrined lord was moved to his new location near Kanazawa Castle. At the shrine’s establishment in 1873, it was granted the name “Oyama,” the name of Kaga’s governing body just prior to Toshiie’s victorious march into the castle town. 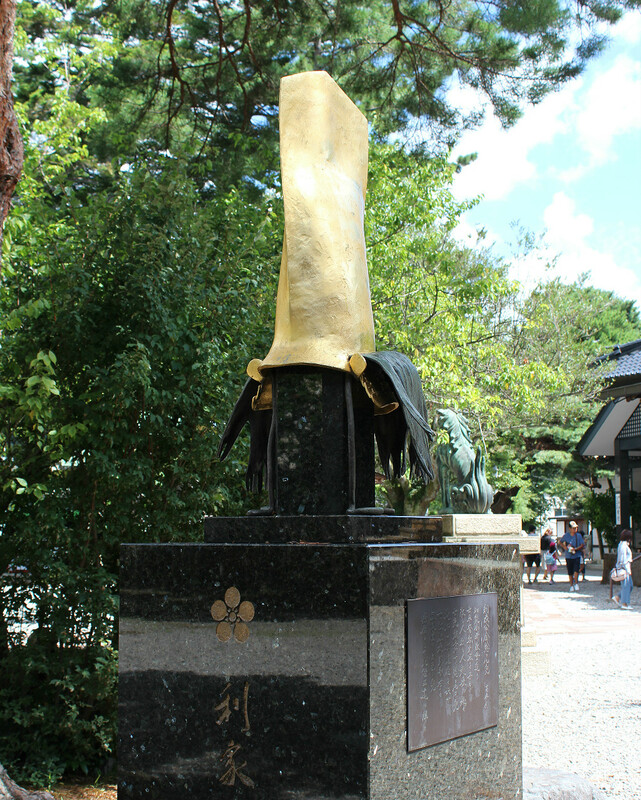 A monument dedicated to O Matsu no Kata at Oyama Shrine, courtesy the City of Kanazawa. 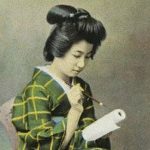 Toshiie’s first wife—and first cousin!—Matsu joined him just two decades ago. 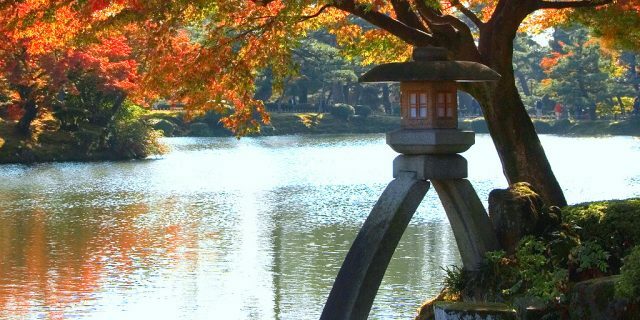 Both are honored with statues and monuments across the shrine grounds, along with a collection of national and prefectural treasures honoring the couple and the region over which they ruled. 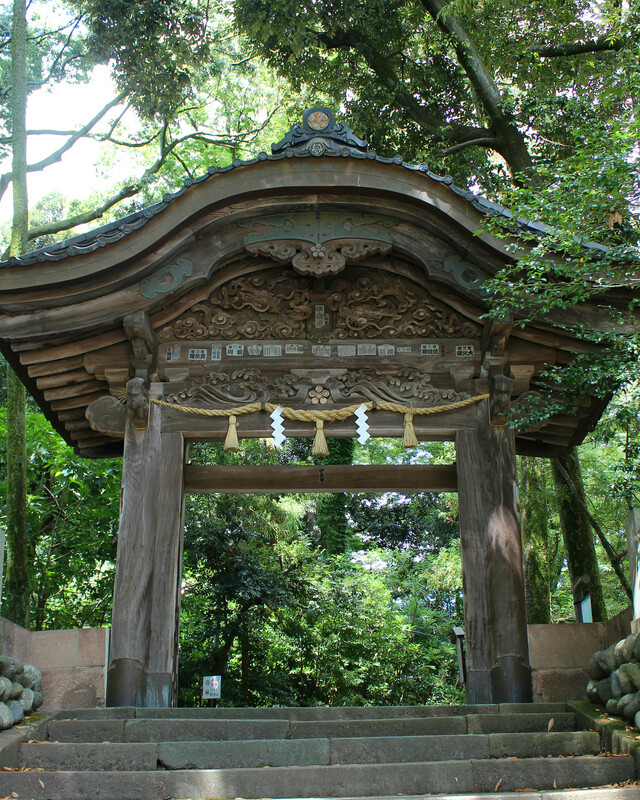 The massive gate at Oyama Shrine’s entrance is infamous for its design. Kanazawa’s contemporary master carpenter, Tsuda Kichinosuke, was commissioned to design the gate, which was completed in 1875. The gate incorporates three different cultural influences in its design: Japanese, Chinese, and Dutch. The rounded corners are reminiscent of Chinese architectural depictions of the mythological Dragon Palace. The diamond cut stained glass on the top tier is Dutch, as is the lightning rod atop the roof, believed to be the oldest in Japan. Locals considered the gate an eyesore when it was first built. (Kanazawa Station received a similar reception upon its construction.) Many believed it was not Japanese enough, and therefore inappropriate for the shrine. 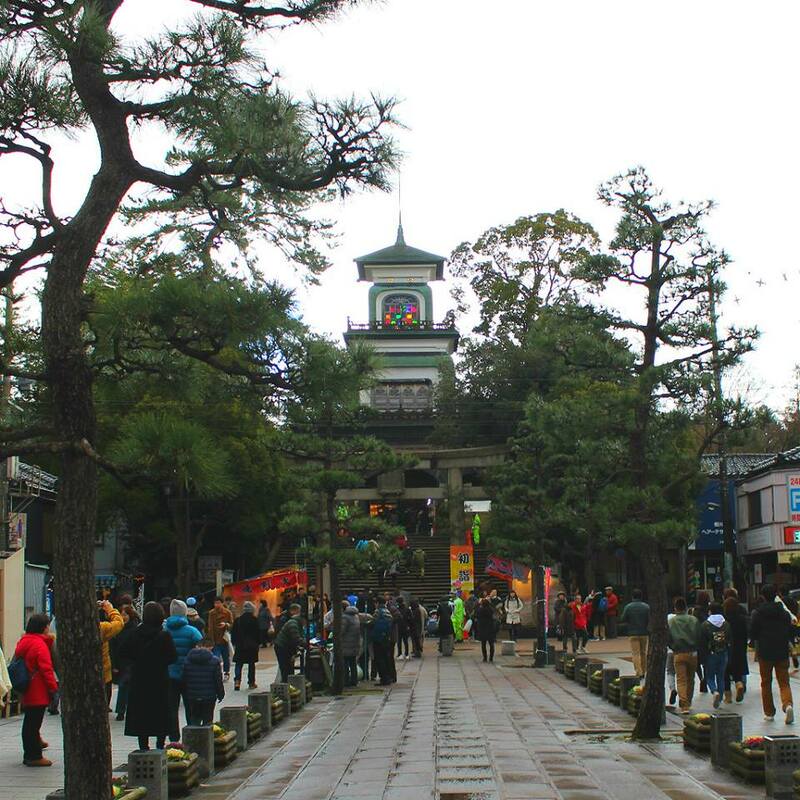 But that hasn’t stopped Oyama from becoming one of the top must-see spots for both domestic and foreign tourists, and one of the two most popular shrines for New Year visits. Once used as a lighthouse that could be seen as far as the port town of Ono, the stained glass windows are still illuminated in the evenings. 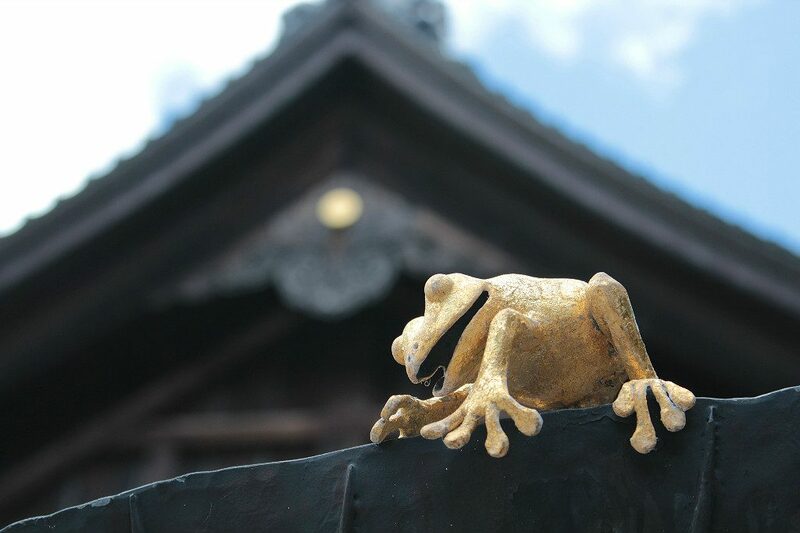 The shrine is littered with meaningful statues and art installations, dedicated to everything from the Maeda family and Kanazawa history to parenthood and long life. 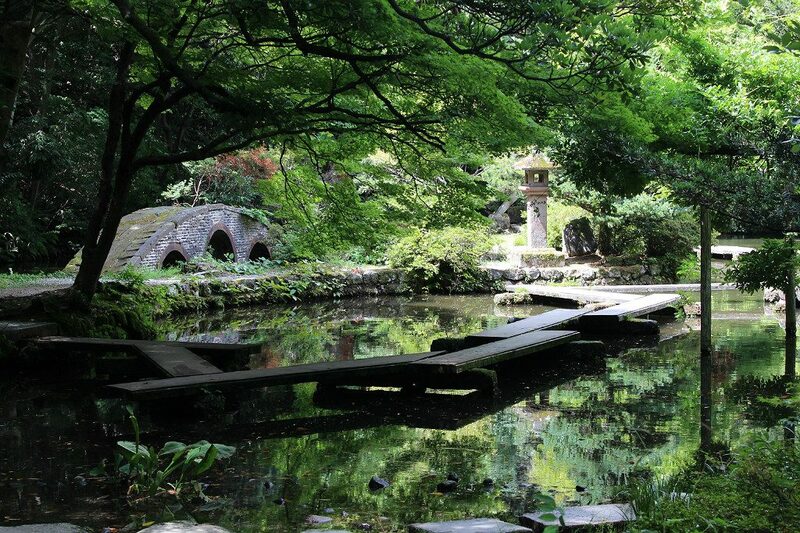 Formerly the private garden of guest houses for the nobility, the shrine garden pond has its own beauty and nuance. The shape of the bridge and islands are fashioned after the traditional musical instruments used in gogaku, the predecessor to Noh theatre. Because of this, it is given the moniker Gakki no Niwa, “(Musical) Instrument Garden.” It’s designated as a Scenic Spot of Ishikawa Prefecture. Visitors are welcome to stroll the garden in good weather. 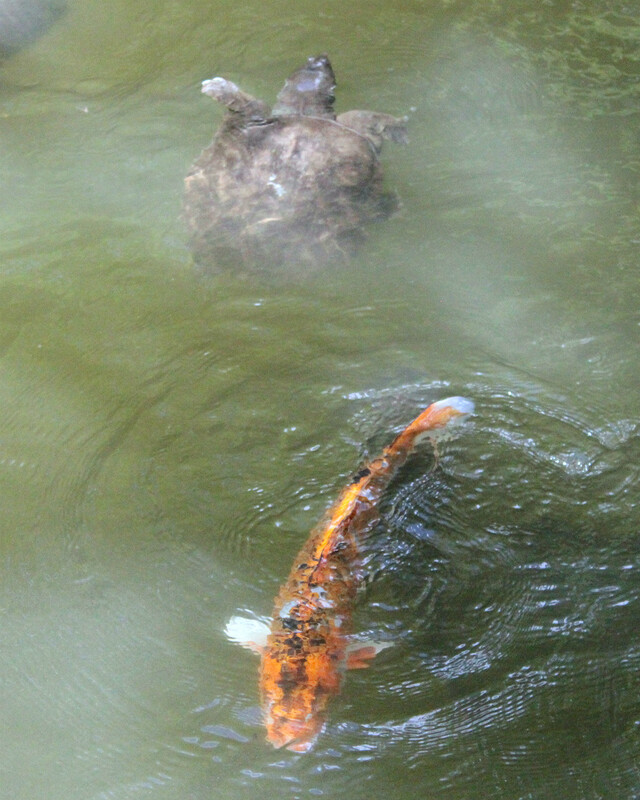 Koi fish and Japanese turtles take residence in the waters. Summer visitors should beware of mosquitoes, however. 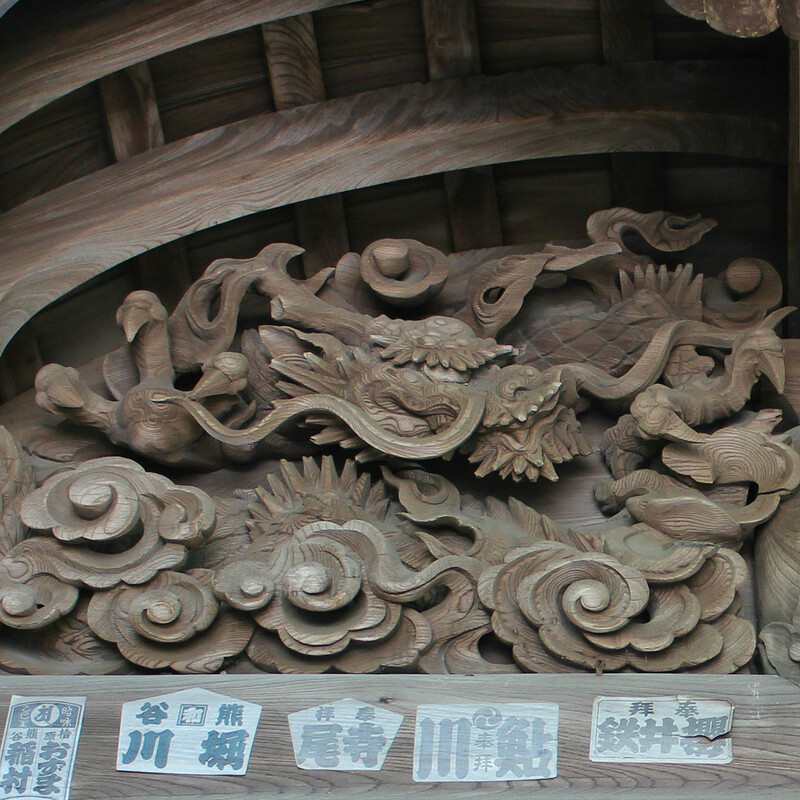 At the back entrance of Oyama Shrine is an elaborate wooden gate, ornately decorated with dragons dancing through clouds. The karahafu gable, the curving style of its roof, is distinctly Japanese, and reflects the rounded front of the main shrine. The design is from the same era in which Toshiie Maeda lived, an appropriate homage to his rule. 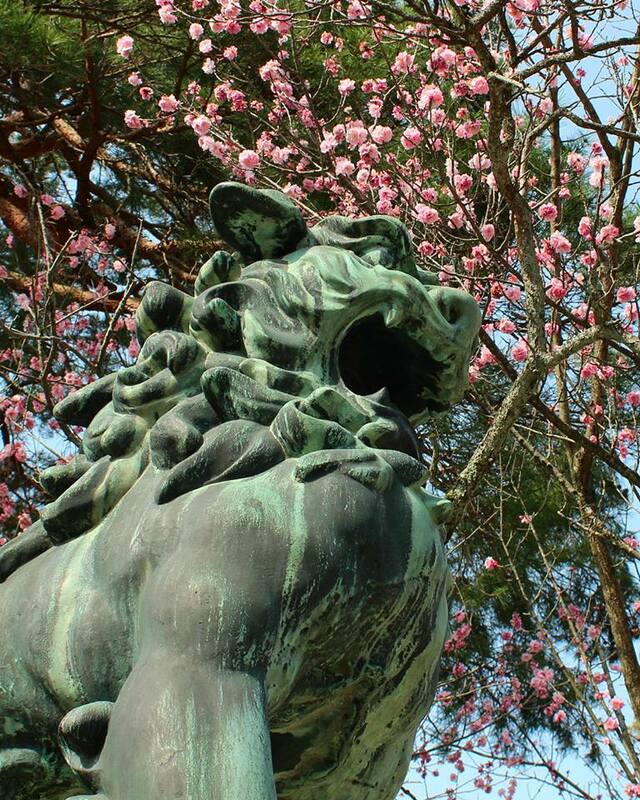 This gate was originally the main gate of Kanazawa Castle’s ninomaru, or outer court area. Despite multiple fires in the castle’s ninomaru, this gate never burned. It was believed that the engraved dragons expelled water that protected it. It is now designated a Tangible Cultural Asset of Japan. 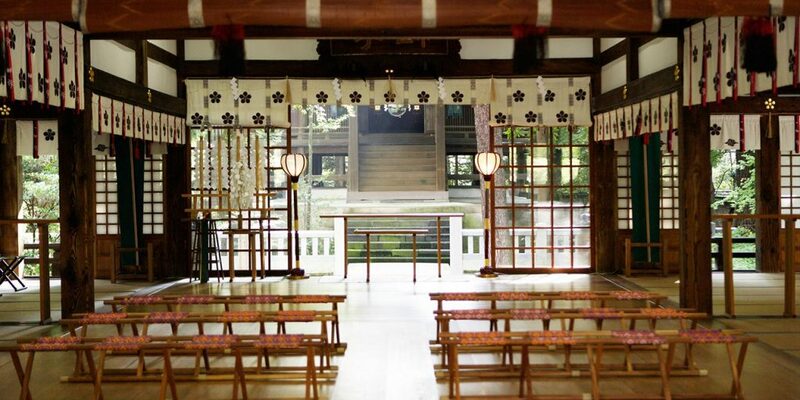 The haiden, or front-most hall where worship takes place, only rarely offers a view of the honden, or back-most holy shrine area, to the public. 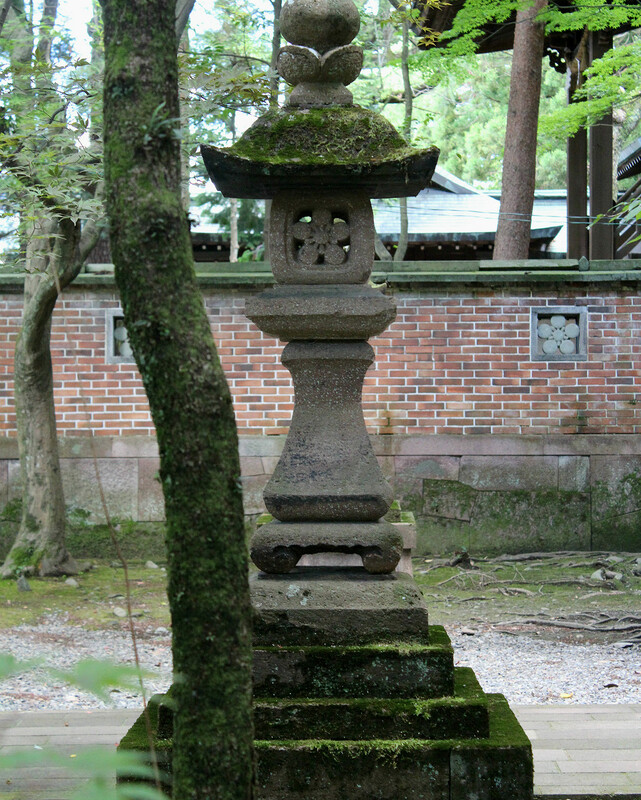 It’s within the honden that Toshiie and Matsu are enshrined. When ceremonies are held and gifts presented, even the priests face the honden more often than they face the crowds. The interior is often closed to visitors, but special occasions do open up limited seating. 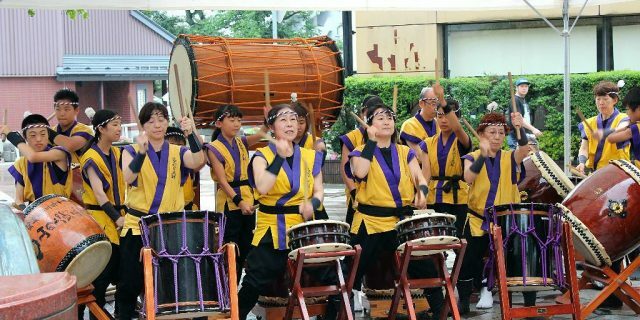 Special holidays, like Setsubun on the 3rd of February, or the Oyama Festival which runs concurrent to the larger, louder Hyakumangoku Festival, present the public with a number of ceremonies, demonstrations, and activities. 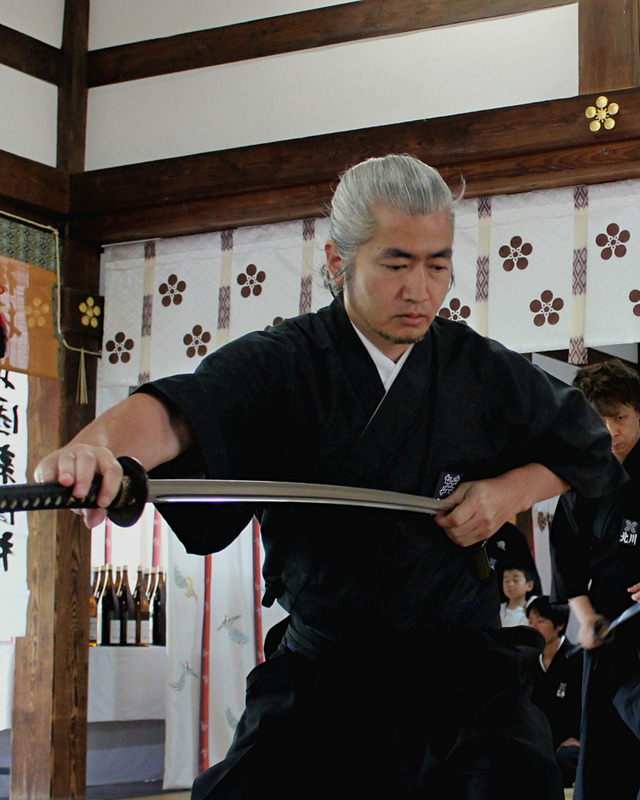 A demonstration of iaido, or sword drawing technique, in the main hall of Oyama Shrine, during the Oyama Festival in early June. Please only enter the shrine as a non-praying visitor during these special events. 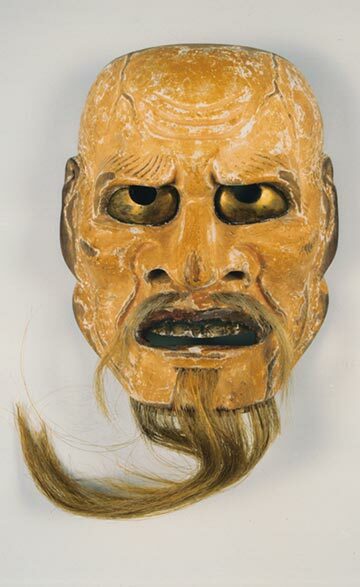 In this mask’s name, the aku of akujou usually translates as evil, though in Noh theatre, it more often refers to austerity or ferocity among god and demon characters. However, this mask may be the exception. Called the “Mask of Faint Breath,” its face conveys a haunting darkness. It’s even boxed separately from the other masks in Oyama’s collection. The story goes that the mask was drawn from the sea near the Noto Penninsula in the early 17th century, marked by a glow in the water as it hit a fisher’s net. Once brought to the fisher’s home, the mask began to chant and breathe from its mouth. 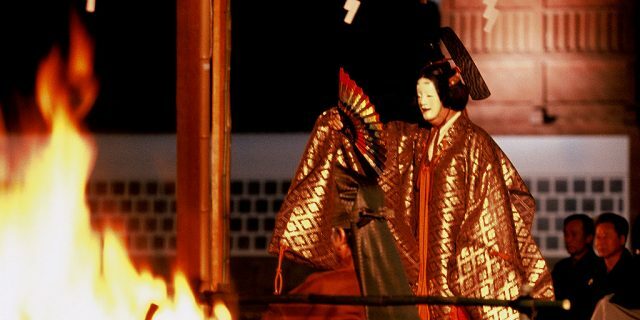 As such things do not belong with ordinary people, the mask was presented to the Maeda family. But after repeated strange occurrences, even the Kaga lords could not see keeping the mask in a traditional house, and so it was dedicated to Oyama Shrine. Even today, the mask is said to bring about clouds when its box is opened, and so it is kept locked away. 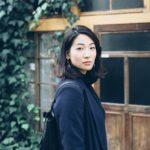 Despite its secrecy and the fact that even Japanese visitors are not permitted to look upon it, its legend is still murmured among those who remember.